Archaeology has solved many of the mysteries of the ancient past. However, sometimes the evidence to explain the existence of an ancient structure or building simply isn’t there. How a so-called primitive society with limited technology managed to construct a building that would challenge even modern methods can have experts scratching their heads. Remote locations away from civilization are similarly perplexing – as are the reasons why people constructed certain buildings in the first place. As a consequence, the how and why for many ancient buildings remains a mystery that can only be answered by conjecture and legends. Here are just 16 mysterious ancient structures that continue to confound the experts today. Gobekli Tepe, by Teomancimit. Wikimedia Commons, Creative Commons Attribution-Share Alike 3.0 Unported license. Between 10,000 and 7000 years ago, construction began on a most remarkable structure in southeastern Turkey. Gobekli Tepe consists of seven stone circles built over a 25-acre hill site. The builders of each ring constructed them from nine megaliths, formed into T shaped pillars. These circles are of varying sizes, measuring between 30 and 100 feet in diameter. The builders carved the pillars of the stone circles with stylized pictures of animals such as lions, crocodiles, scorpions, foxes, bulls, cranes, spiders, ants, and snakes- the remains of which were all found around the site. Each completed stone circle was confined by a six-foot high rectangular stonewall which builders may have topped with a roof. The stone circles and animal remains all suggest the site had a ritual significance. These remains coupled with the fact that the central pillars of three of the stone circles seemed to frame the place on the horizon where the Dog Star, Sirius would have risen around 10,000BC, have led experts to brand Gobekli Tepe as the world’s first human made temple. However, Gobekli Tepe’s builders constructed the monument on the cusp of the agricultural revolution in the near east. There were no cities, or permanent settlements of any sort for most people were still nomadic hunter-gatherers. However, to build Gobekli Tepe, a workforce of at least 500 people was required. 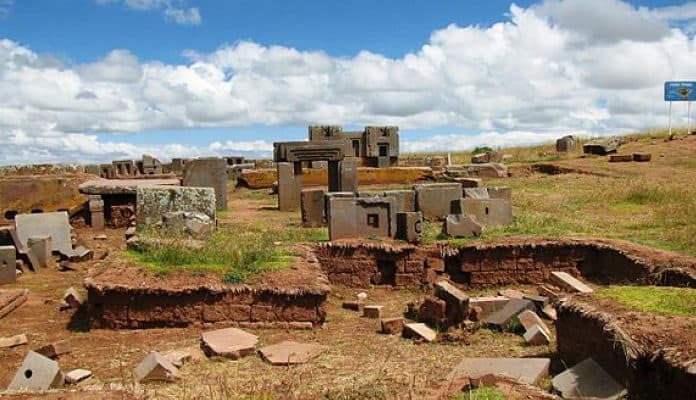 The mystery of Gobleki Tepe, therefore, is not so much what it was for but how- and who- were organizing essentially nomadic tribesmen to converge and co-operating in the building of this sophisticated structure.